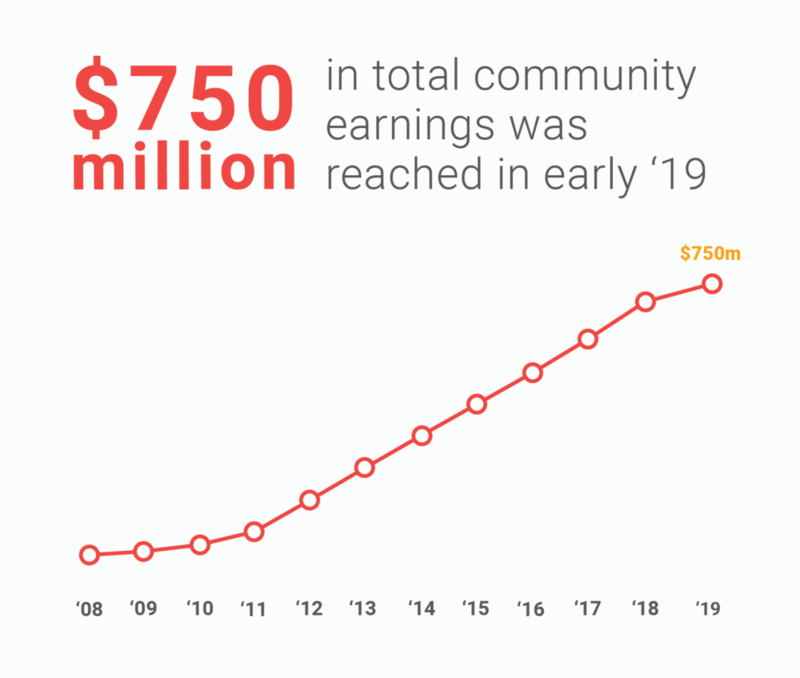 Envato’s global community of digital creatives have now earned more than $750m USD, the company has announced this week. The milestone puts Envato on track to hit its goal of $1 billion USD in author payouts by 2021, and comes just a year after it reached the $600m milestone in March 2018. Making up the milestone figure is at least 140 authors have made at least $1m USD in gross sales across Envato, and a further 2200 authors who have made more than $75,000 USD in gross sales. It has been a big month for one of the world’s largest creative ecosystems, with subscription service Envato Elements now boasting a library of more than one million digital assets available for unlimited download to nearly 150,000 subscribers around the world. The growth in subscribers has played a key role in delivering greater results for the Envato community, with a renewed focus on helping customers ‘make’ instead of simply ‘shop’ driving a 50% increase on average earnings from Envato Elements subscriptions.